Efteling theme park has been celebrated and revered as one of Holland’s favourite family destinations since 1952. 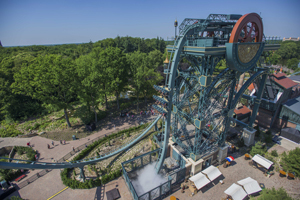 Efteling Bosrijk, the holiday park of the Efteling, has been named the Best Holiday Park in Holland for three years running. Oddly enough, Efteling theme park and resort is not well known in the UK. Efteling, in short, is Holland’s best kept secret. But what is it that makes Efteling so special? And why must you visit in 2016? We interviewed Claire Hancer, the UK Country Manager, to find out all the answers. What do you think makes Efteling attractive to holiday makers from the UK? Holland’s hidden gem as, although it has been around for over 60 years, not many Brits have heard of us. There is a trend for UK holiday makers to want to be ‘pioneers’ to be the first to find a new destination or product, we offer that. Efteling is a new destination to discover. We also offer an ‘authentic’ non commercial holiday in a unique friendly fairytale atmosphere. Furthermore, it is great value for money. Efteling is easily accessible by plane, ferry (particularly from the NE with the mini cruise option) and soon the Eurostar with its direct route to Amsterdam. Everyone speaks English. Efteling is a great alternative to other European and UK theme parks. What does Efteling offer that other theme parks do not? What kind of guests do you think Efteling appeals to? The family market is the most prominent. 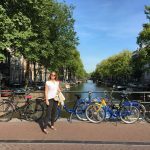 However, I can see (and have heard first hand) that young adults would combine a day trip to experience the park when taking a long weekend in Amsterdam or that groups of young adults would stay in Efteling Bosrijk and have fun in the park. If you could compare Efteling to any other theme park, what would it be? Efteling is such a different theme park from any others in the UK or Europe. The whole ambience of the park is breathtaking, everywhere you look is something amazing from the architecture in the Anton Pieck Square (named after the famous Dutch artist) to the amazing feat of engineering of the Baron 1898. Being surrounded by nature is gorgeous and the attention to detail all around you is so different. There is something for every member of the family with play areas for really young ones to fun attractions for the slightly older to the rollercoasters for teenage daredevils. Efteling is located in a natural environment surrounded by trees and carpets of flowers and plants. It is really clean, and the attention to detail is amazing. What makes Efteling typically Dutch? The quirky reality of the theme park, the Dutch specialty food that you can find in the park from Polle Kitchen pancakes and the traditional Dutch mini pancakes ‘poffertjes’ to raw herring fish tails and the so called ‘eigenheimers’ (spiral potatoes on a stick)! How does staying at Holiday village Efteling Bosrijk enhance the experience of the theme park altogether? A holiday at Efteling is like no other holiday. Staying in Bosrijk is immersing yourself and your family in the Efteling cloak, set in the woodland it mimics the natural surroundings of the theme park, its only a short stroll from the park so you feel attached. 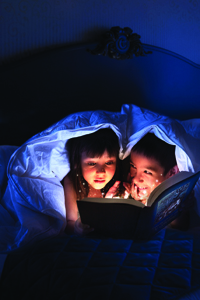 Kids love to play out in the woodland with natural climbing frames and areas to make dens. There’s an indoor splash pool and kids love the pizza delivery service. 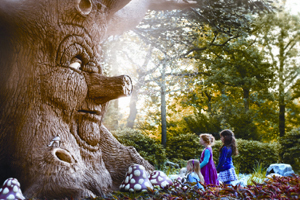 Staying overnight at Efteling, kids may meet and greet some wonderful Efteling characters such as woodland fairies and Raveleijn riders. 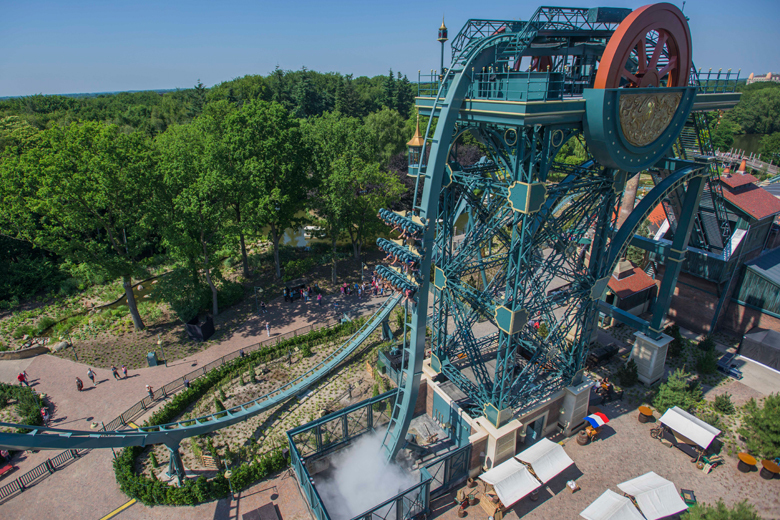 To make this experince even more enticing, HolidayParkSpecials currently have a summer special for Efteling Bosrijk which means up to 35% off until the end of September! Book now and make the most of this unique deal. Be quick, accommodations are booking up quickly!